Power Rangers and the various franchise series have been around for about 2 decades and for 2012, the series will be airing season 19 called Power Rangers Samurai and Super Samurai. The show will be shot in HD, will air on Nickelodeon and will use its popular opening theme of “Go Go Power Rangers”. The show goes something like this… Centuries ago in Japan, a dark force threatened our universe, bringing a civilization to its knees, until a clan of brave warriors were called upon to destroy this ancient evil – Samurai warriors defeated them with power symbols passed down from parent to child. But now this darkness has returned and plans to flood the Earth, and the future of mankind rest in the hands of five ordinary teens with one extraordinary destiny — They are the Samurai Rangers. Led by the fearless Red Ranger, this team was summoned to train as Samurai’s under the teachings of Mentor Ji, armed with high-powered weapons and mighty Megazords. They have one mission – to defeat the sinister Master Xandred and his army of Nighloks and make our universe safe from evil once and for all. To audition for the show you will need to have an agent submit your information, headshot and resume to the shows casting directors. Good luck! Hello I’m Armani and I’m 17 years of age. I have been wishing to be an acting since I was little. I am Spanish 6’2 in height. I am 10 years old. When I was 6 I would wake up and watch this show on tv, I don’t watch it now ’cause i don’t have the channel. Well, I like to act and my favourite subject is drama. I would be soooooooooo be happy to get a part. I don’t care even if it’s an extra! i would love to be in the auditions for the power ranger series , because im very familiar with this show it was my favorite , i have been wachting this show since i was 7 years old its one of my passions . iam 16 years old , i have dark brown hair , brown hair im a super cool person and i would do and learn anything just for be in this auditions thank you so much . ik hou van actie en super ninjas want ik heb zelf een pak van eenh samurai en ikm kan goed aceteren ik heb al veel met films gedaan dus het lijkt me leuk om hier in te spelen. My name is Brooke and i have acting and singing since i was three years old i have been in multiple plays I’m in 8th grade going to 9th next year so high school. YAY!!!! 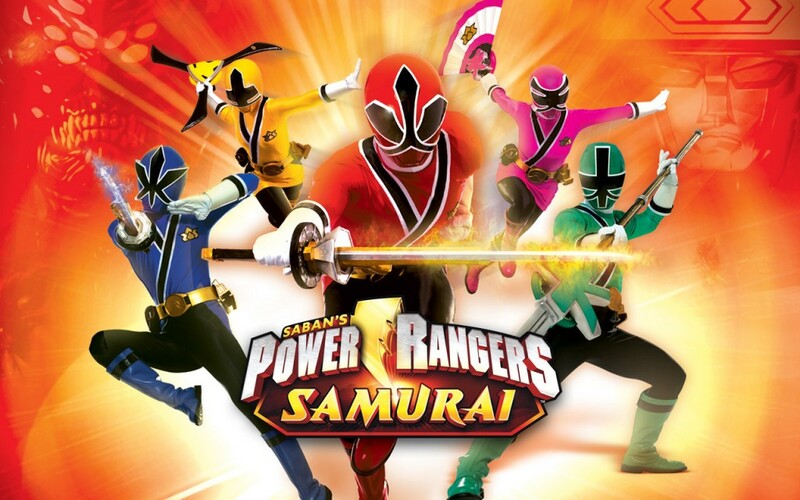 I have also watched all the episodes and seasons of power rangers like: Mighty Morphin, Dino Thunder, Samurai, Ninja Storm, Wild Force, Jungle Fury,Mystic Force, Time Force, RPM, SPD, Lost Galaxy, Zeo That is all I can name but I love the power rangers.If i had a chance I would totally be on there. Thank you to all of your work! I watch power rangers samurai every time it comes on. It’s my favorite show to watch. I would be thrilled to be apart of the power ranger’s. I love acting. It is my life. I also grew up watching power rangers. Dear powerrangers samurai when I grow up I want to be a powerranger to even though its fake it still teaches me to protect and save the people and help my friends infact I protect my friends in school people are always messing with my friends but Im a powerranger and I come and stop them I may audition for powerrangers right now thanks alot rangers beat those niglok for me oh and I would like to auditon ILL write agian tommorow and you write back to. Hey, I would love to audition for power rangers. I have watched it my hole life and I am enthusiastic about action. Pleases let me know more about how to get an audition thanks. hi I would love to audition for power rangers, but i don’t have an agent. is there a way of getting one fast. Hey , im interested in doing this. Acting is a big part of my life , i do find my self a perfectionist , im not too shy and i can do most rolls. THANKS HEAPS.